Love staying at YHA and will continue to do so. When would you like to stay at YHA Borrowdale? YHA Borrowdale is perfect for outdoor activity breaks, school trips and family holidays. This large Lakeland hostel has a fabulous valley location amidst a landscape of epic proportions, coupled with a warm, informal and welcoming atmosphere. The hostel is a longstanding Lake District favourite, a recommended stop on Wainwright’s Coast to Coast and an ideal bolt-hole for anyone with their sights set on a stress-free high level activity holiday, be it climbing, hiking or family-friendly walking holidays you’re keen on. 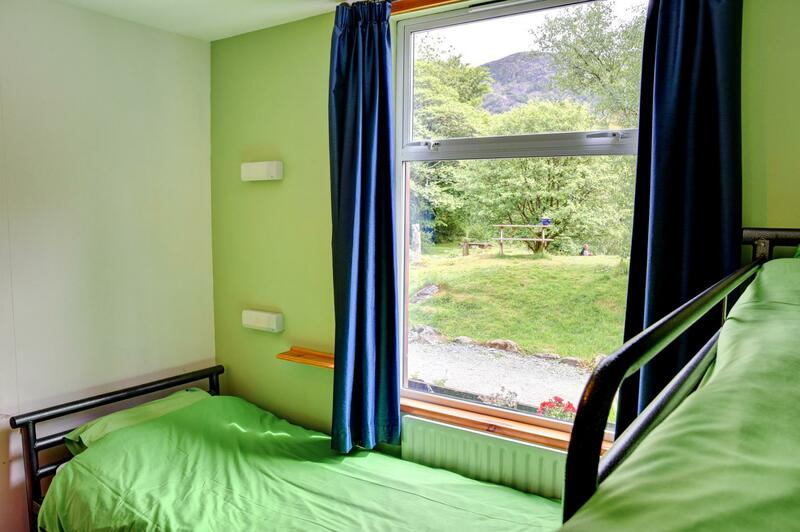 YHA Borrowdale 86 beds including a selection of dorm beds and private rooms as well as camping pitches. This large Lake District hostel is cosy and full of character - perfect for adventure holidays. All-in-all, with its exceptionally welcoming staff, well-stocked bar, great value meals, extensive grounds and campsite, YHA Borrowdale and the breath-taking beauty you’ll find outside make for a lovely Lakeland stay. If you like camping, you'll love these wooden camping pods! 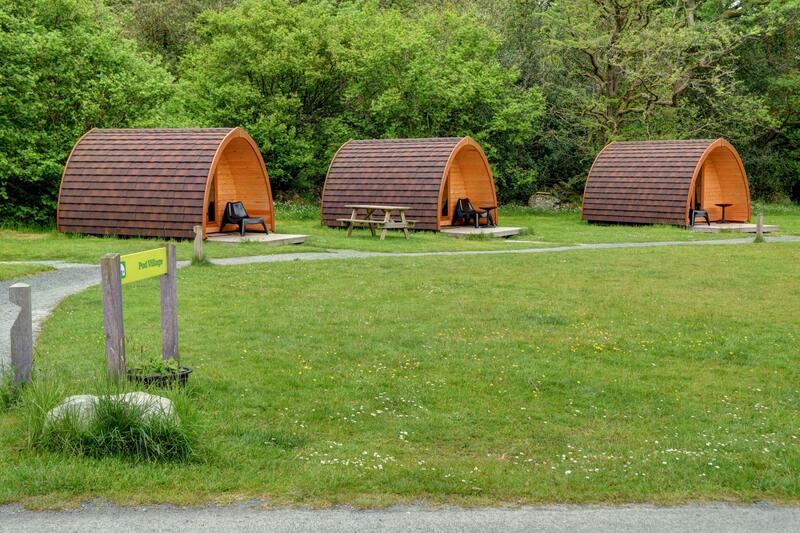 We have three Standard Pods at YHA Borrowdale, each sleeping two people, and a stay in them will include all the fun of camping plus protection from the elements, they even have heaters. Bring all your usual camping gear, apart from sleeping bags and mats - there are two single beds with bedding. Each pod also has its own individual decking area. Set in large grounds on the banks of the river Derwent and surrounded by high Lakeland fells, YHA Borrowdale is popular with campers throughout the summer months.There is room for up to 25 campers to sleep comfortably. Facilities Campers have access to all of the Youth Hostel facilities including the self-catering kitchen, cafe-bar, restaurant, drying room and laundry from 7am until 11pm. There are separate campsite toilets and showers which are open 24 hours a day. Parking is available in the main car park, just next to the camping field, which means you won't be trudging around for miles with your camping gear! The Youth Hostel reception is open from 7am until 11pm and campers can check in any time from midday onwards. Open every day? : Yes - availability is released three months in advance. Towels and toiletries: Towels and toiletries are not supplied but are available to hire and purchase from reception. Bedding is supplied. Parking: There is no access for coaches, nearest drop off 400 metres. Pets: Dogs can stay on our campsite and in our camping pods. There is a £5 charge per dog per night for our camping pod accommodation which is payable upon arrival. You can bring your dog for free if you are camping in your own tent. Pets are not permitted in the hostel accommodation at YHA Borrowdale however, assistance dogs are welcome throughout, please advise upon booking. YHA Borrowdale is perfect for outdoor activity breaks for school groups. There are also geography, science and biology educational packages available from KS2 - A level. The hostel has 86 beds, classroom facilities and provides group catering. Manager recommends: For climbing holidays and hiking holidays, scaling Scafell Pike, the highest mountain in England, Great Gable and Bowfell will reward your effort with some fantastic views. 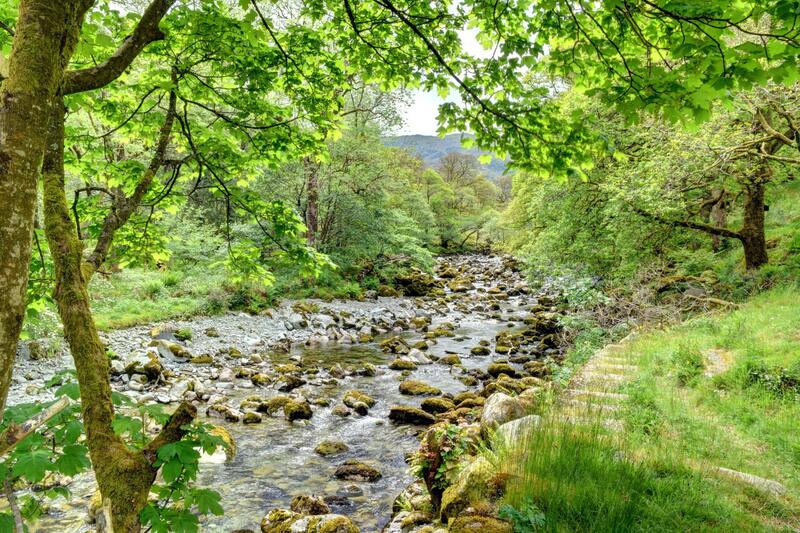 For family walking holidays try the walk to Watendlath, Langstrath or along the crystal clear River Derwent to Castle Crag to relax and restore. For outdoor activity breaks, The Honister Via Ferrata, Whinlatter Mountain Biking and Go Ape tree-top ropes course are sure to exhilarate. We have all the ingredients needed for a wonderful day out on the Fells, perfect for family breaks and school trips. Brilliant! On a seriously hot day there really is only one place to visit and that’s ‘Black Moss Pot’. The legendary local swimming spot is where brave souls can dive off 15-foot high rocks into the plunge pool or simply find a comfy patch of grass and do some quality sunbathing. Visit the Bowder Stone. Thought to weigh 2,000 tons and standing 30 feet high, this ginormous boulder is one of the most famous and quirkiest sights in the Lake District. It is balanced, seemingly preposterously, on one edge and has a ladder to the top.